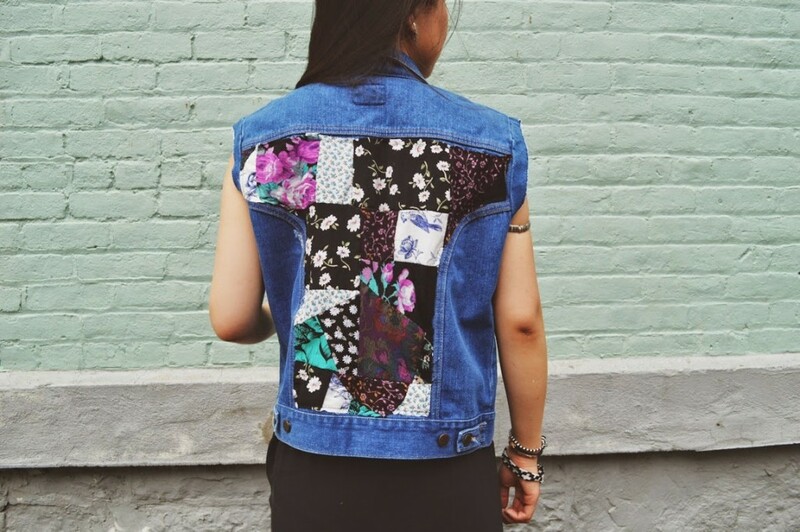 Last month, I shared an Urban Renewal Floral Denim Vest that I found on Urban Outfitters’ website, retailing for $79. You can find the “dash of inspiration” post here. 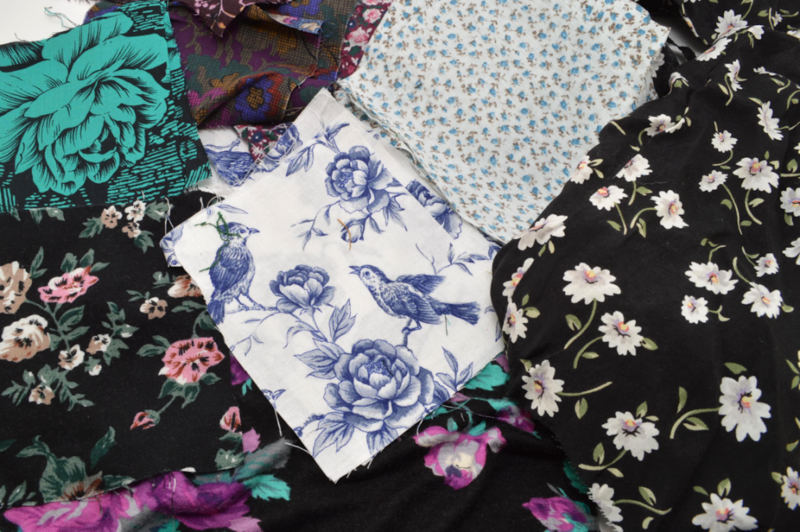 I happen to have a TON of floral fabric scraps (and fabric scraps in general, but that’s another story) so it inspired me to re-purpose them. 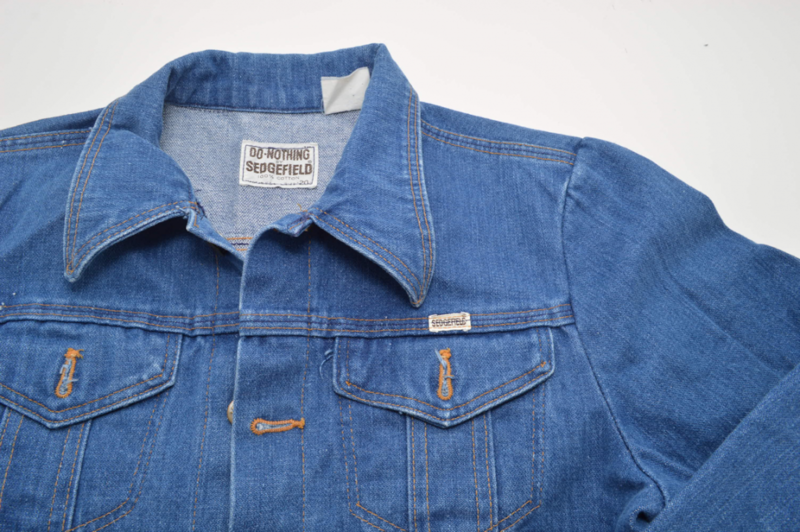 And if you know me at all, you know I love my upcycled denim vests. 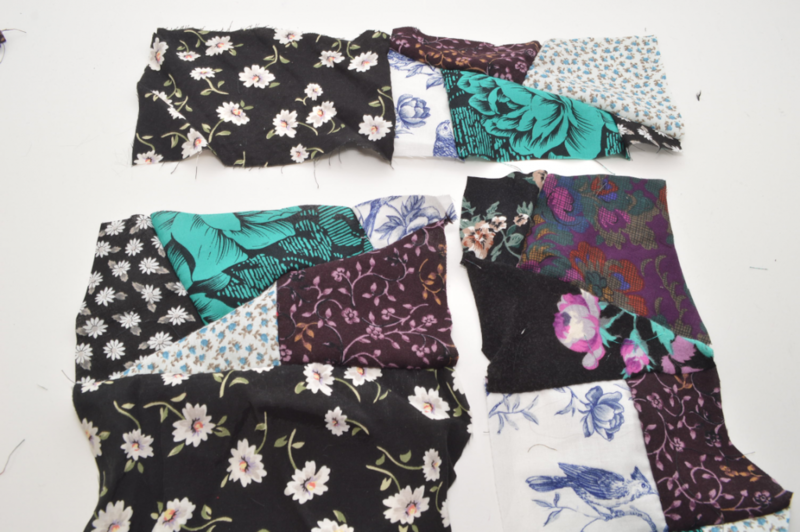 Floral Fabric Scraps…lots of them! 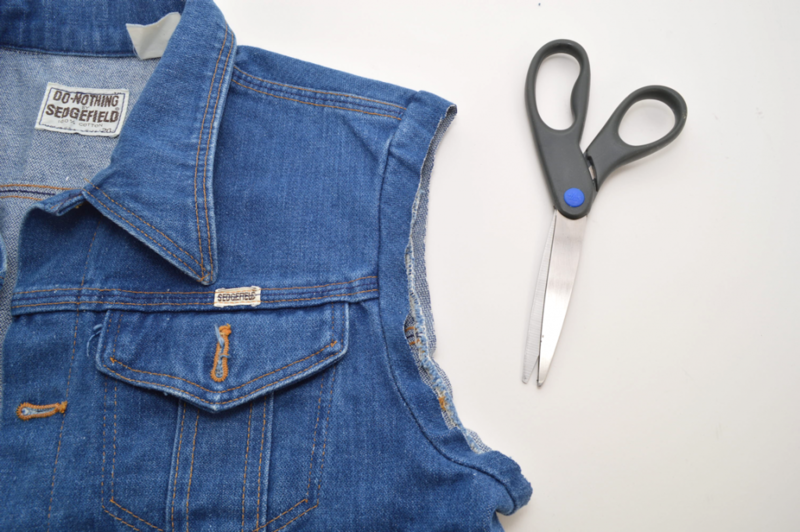 1) If you haven’t already, cut off the sleeves. I typically follow along the seam, on the outside. 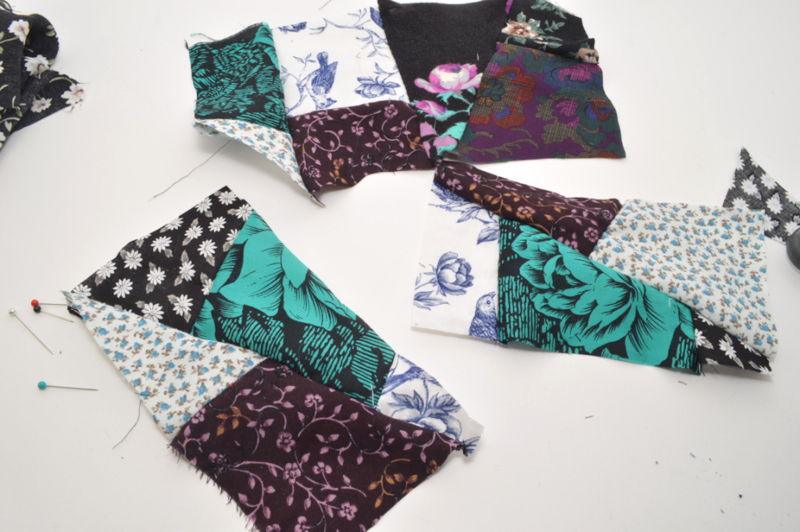 2) Cut the scraps into squares and rectangles, and pin them together. 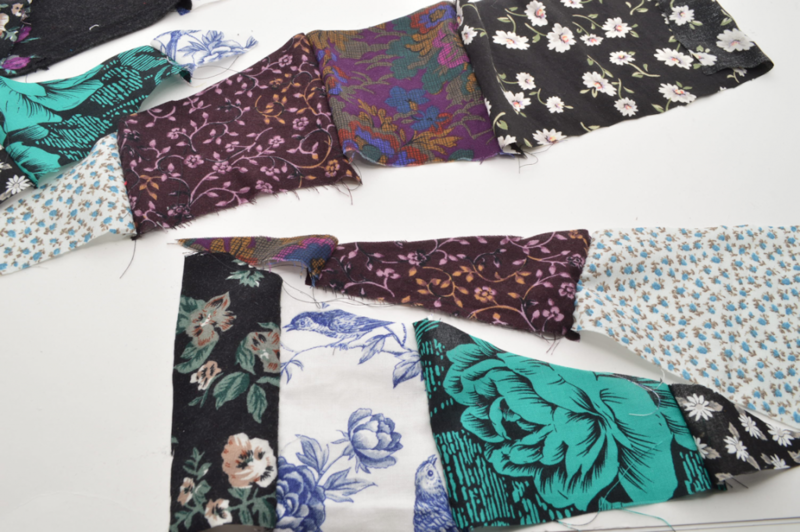 The technique that I use in this tutorial will still result in a patchwork of random/odds shapes, but is easier than sewing said random shapes together. 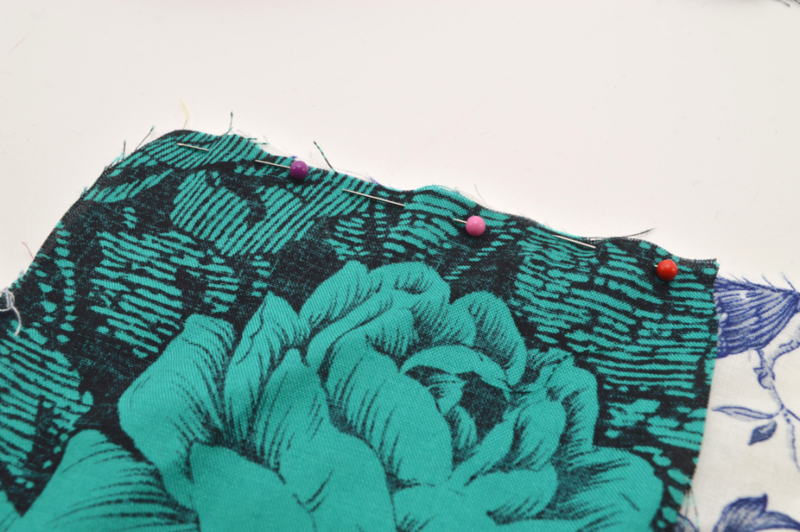 3) Don’t forget to pin the fabric with the “right” sides facing each other. 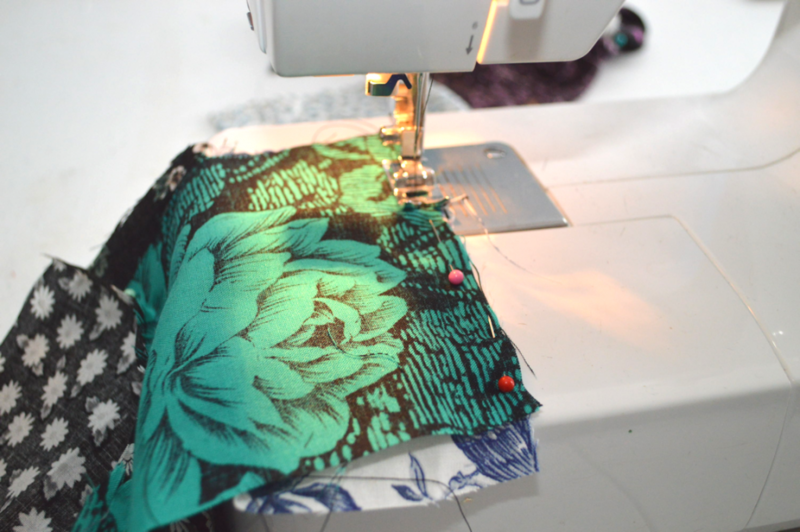 5) Keep sewing random scraps together until you have large blocks of fabric. 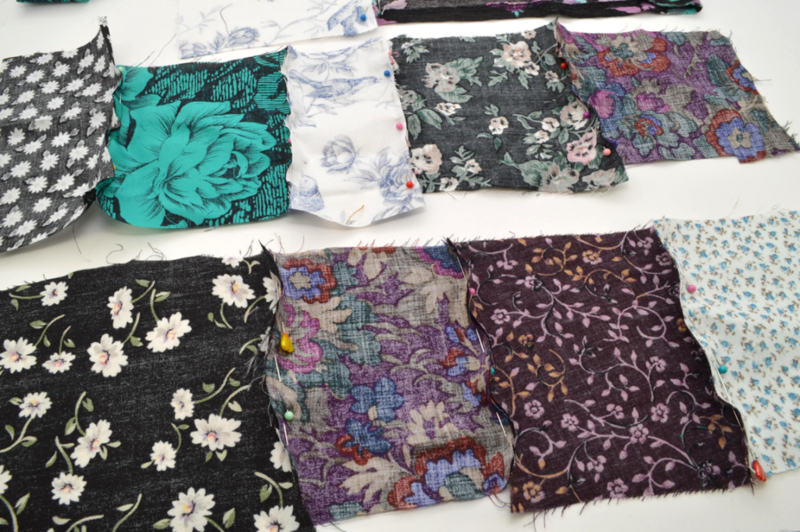 6) Diagonally cut through the blocks of fabric. 7) Pair on portion of one block with another, as seen above. 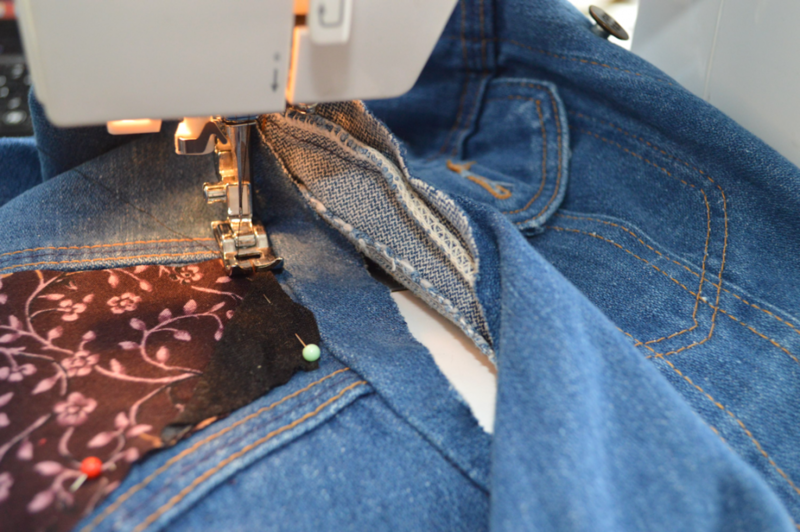 As long as both edges are straight, it will be easy to sew together. 8) Pin together, right sides facing each other. 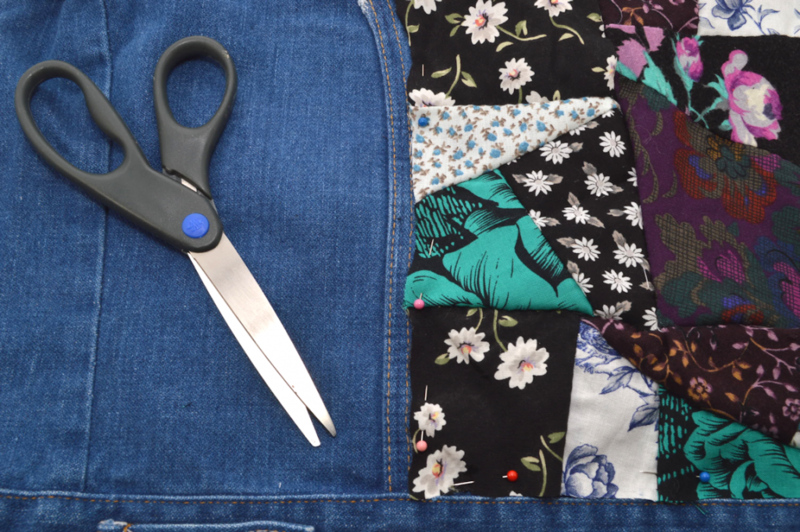 10) Trim off the edges to create a perfect 4-sided rectangle or square. 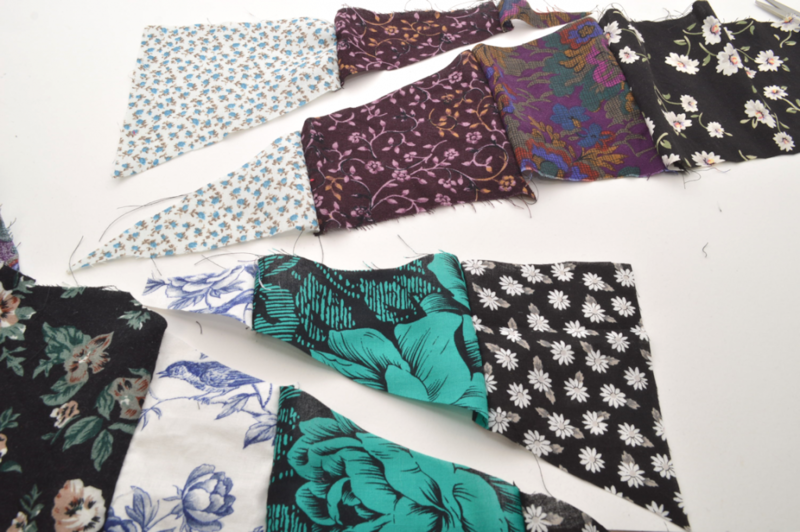 11) Continue with the rest of the fabric. 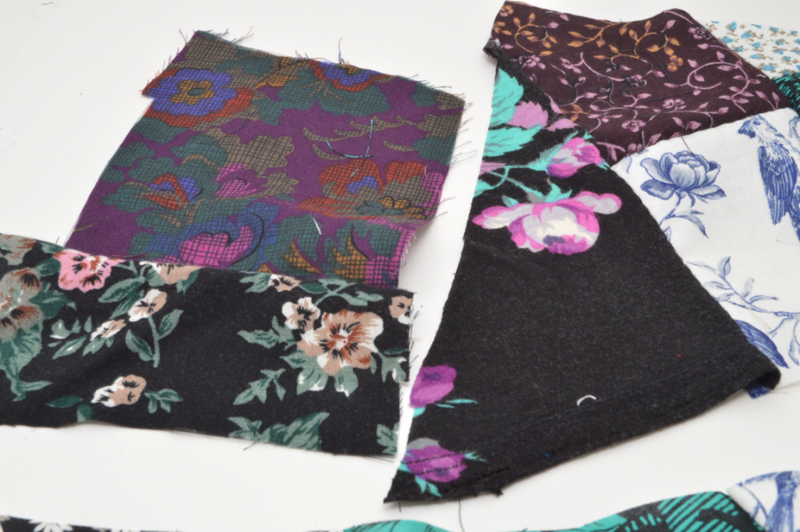 The end result will be random shapes sewn together, as seen above. 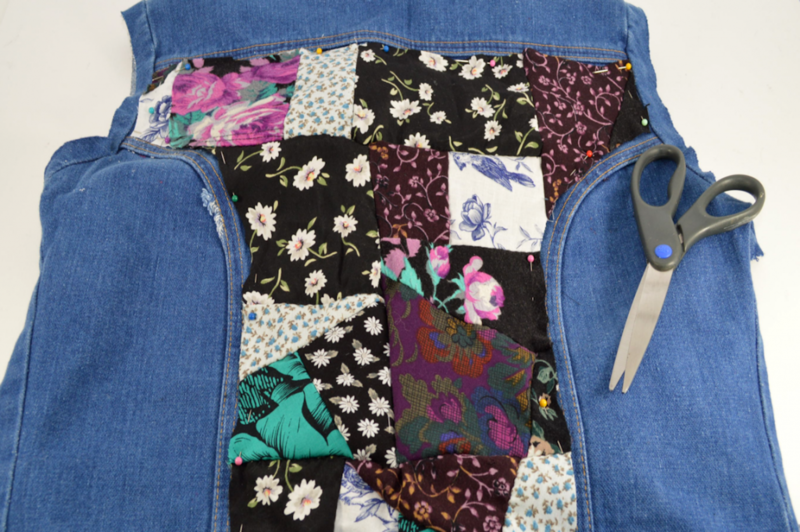 Much easier than taking oddly shaped scraps and sewing them together that way! 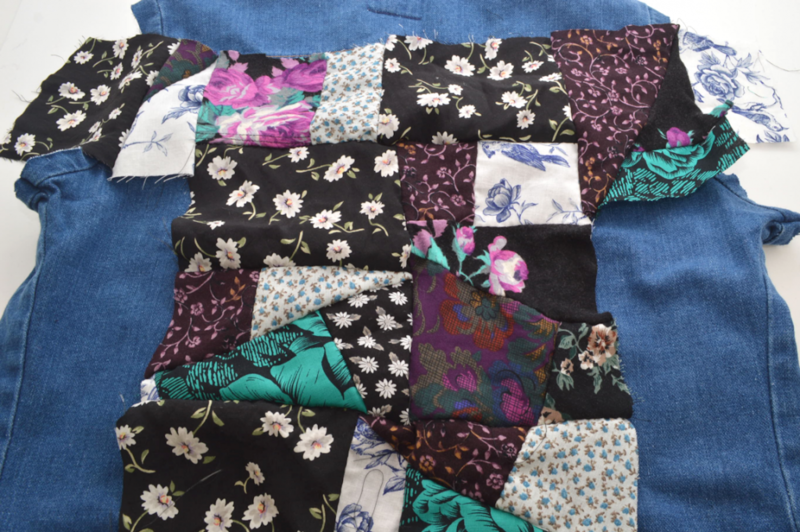 12) Keep sewing the mismatched blocks together until the piece gets bigger and bigger. 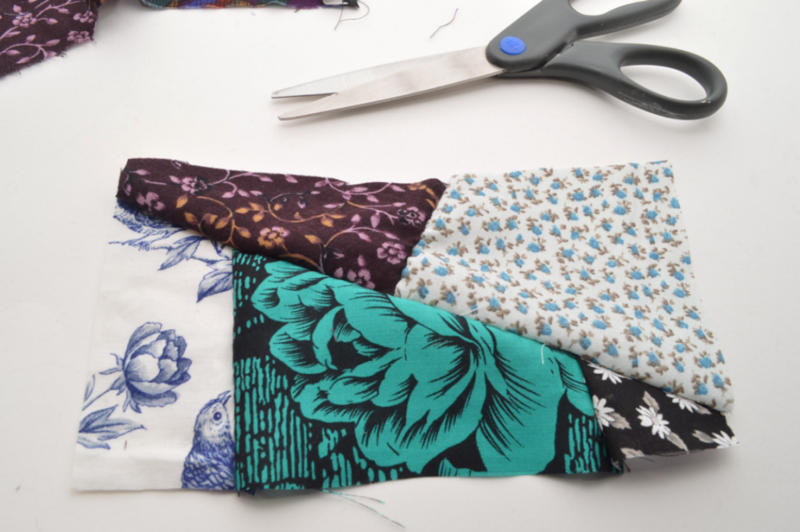 13) Whenever you have a straight edge, you can also simply sew two scraps together, sew them to a block, then trim off the ends to create another straight edge. 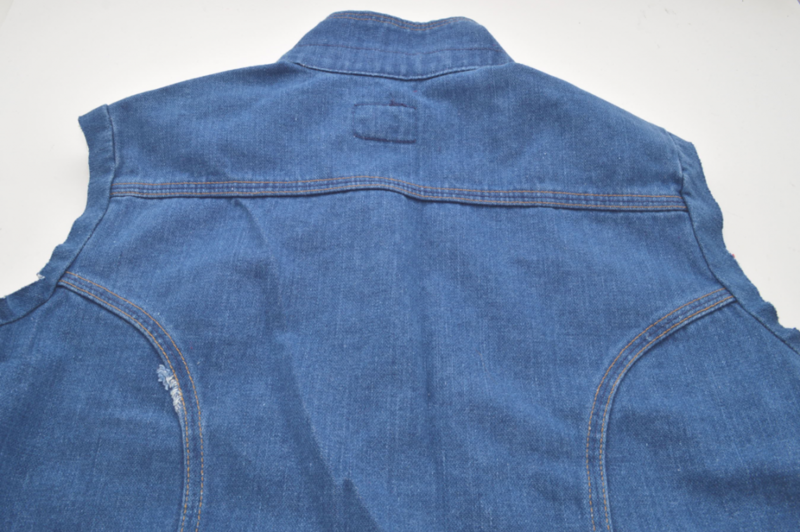 14) The back of denim jackets and vests will differ. 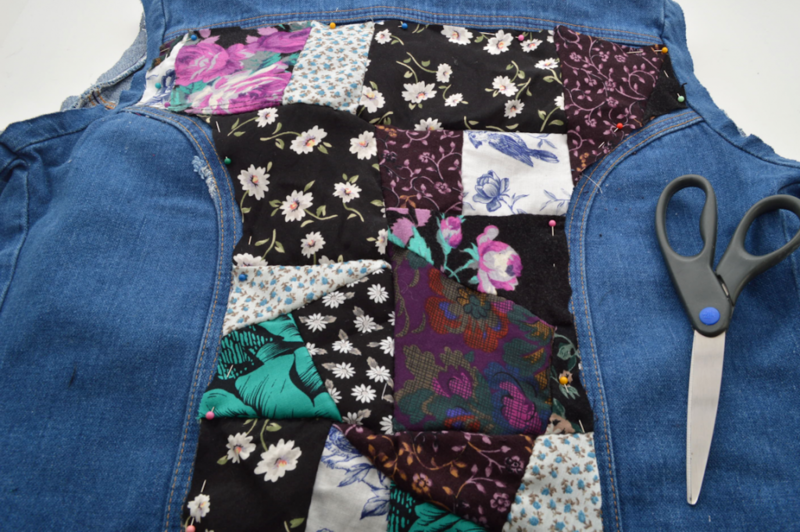 My particular vest had a curved back panel, so I decided to trim the patchwork fabric to fit within the seams. 15) To accommodate the top right and left corners, I added a few scraps on either side. 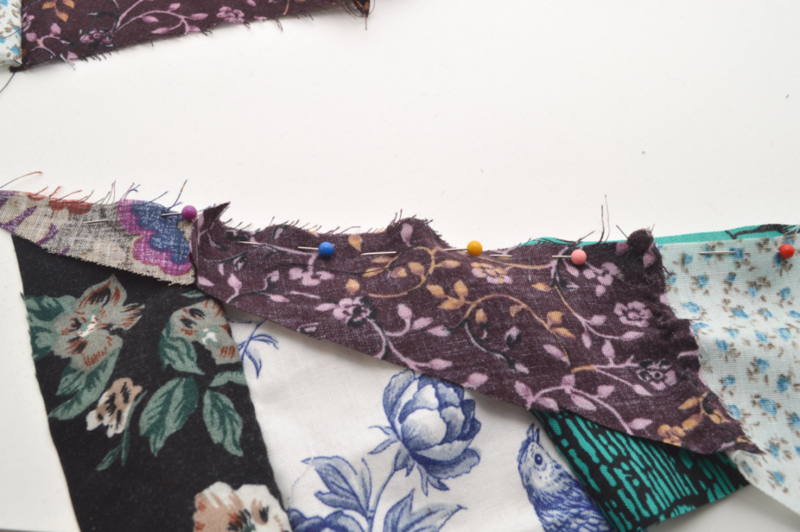 16) Trim the patchwork fabric to fit within the seams. Pin in place. 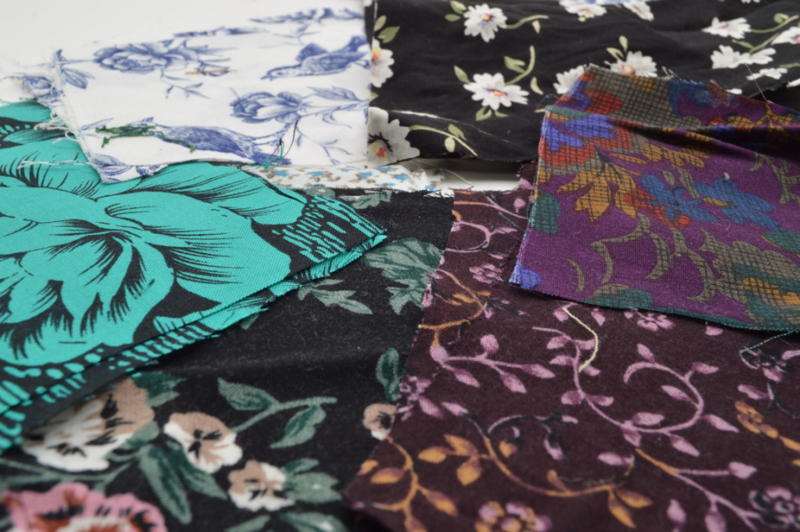 I kind of laughed to myself because my preferred color palette was extremely noticeable in the floral scraps I had on hand. 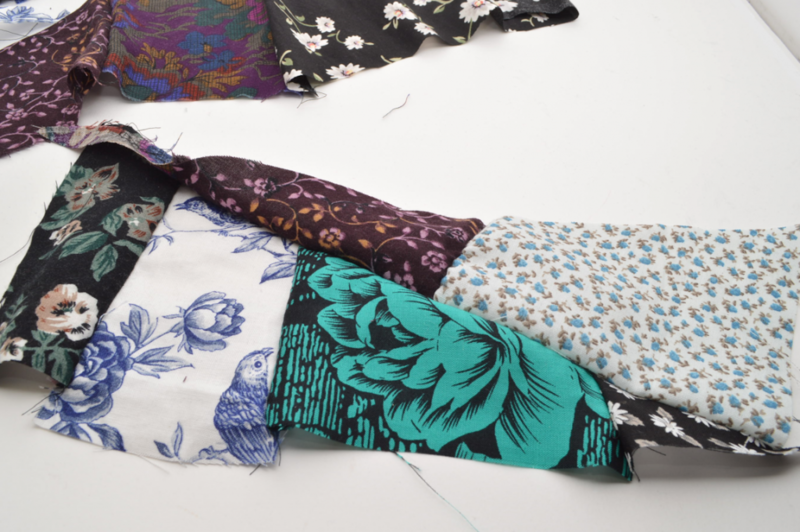 Many of these scraps were from past projects and thrifted clothing, some of which I’ve had for years. 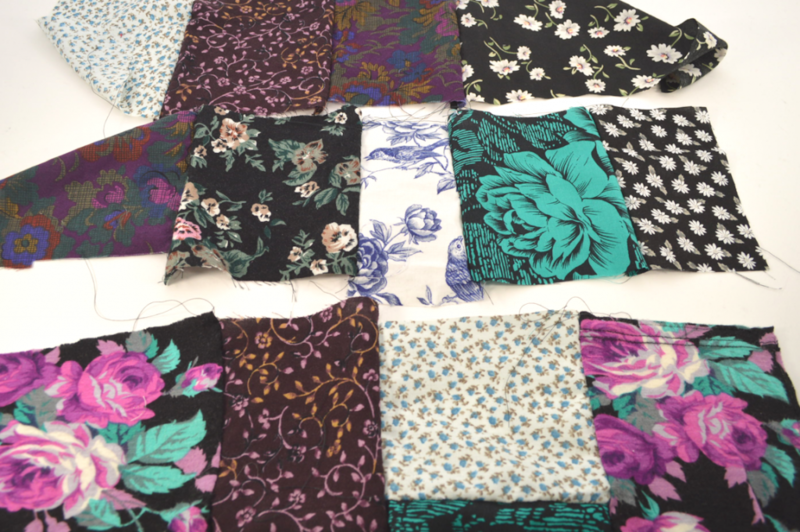 I might give this another go with plaid flannel scraps, since I have quite a bit of those as well. 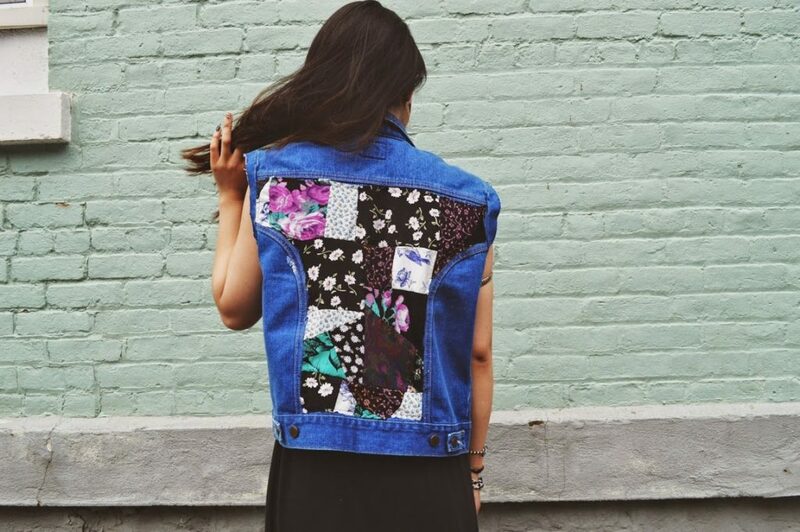 Since I already had the fabric scraps, I only had to buy the denim jacket, which I thrifted for $10. Not bad considering the inspiration piece cost $79!